A lack of supply and an abundance of permanent financing is driving cap rates lower for Drug Store Properties. According to an article published in the March 2013 edition of Retail Traffic Drug Stores, buyers’ preferred Net Lease assets due to their decades-long term leases and investment grade credit ratings. The number of Drug Store properties available for sale declined significantly compared to the second quarter of 2012 partly as a result of the massive amount of consolidation occurring due to Net Lease REIT’s. The article indicates that cap rates for deals involving Drug Stores averaged 6.93% – a premium of 32 basis points over all Net Lease Retail Assets. At present, 5/7/10 year fixed rate loans seem to be the most popular among Lenders and Borrowers. Amortization with this type of loan is 30 years and the rate range is between 3.50% to 4.35%. Generally speaking the shorter the fixed rate term lower the rate. Underwriting consists of 3% for vacancy / management with a minimum debt yield of 8.25% and a maximum LTV of 75%. Pricing for fully amortizing debt for newly developed corporate-leased Walgreens and CVS leased transactions is in the 4.25% to 4.75% range. For Credit Tenant Lease pricing we are seeing 4.75% to 5.50% range for 25 fully amortizing loan structure. Marabella is also offering participation loan funds for Walgreen and CVS Corporate Leased Projects. These funds offer 80% to 90% Loan to Cost. 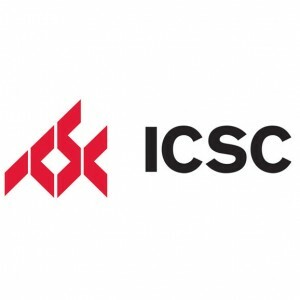 Marabella Commercial Finance will be attending the International Council of Shopping Centers Convention, at the Las Vegas Convention Center from Saturday, May 18, 2013 to Wednesday, May 22, 2013. Chris Marabella and Shari Eckert will be passing out rate sheets and meeting clients near the Walgreen and CVS Booth. To setup an appointment time to meet at the ICSC in Las Vegas please coordinate with Chris Marabella by calling ahead of the convention at (760) 479-0800 or email Chris Marabella at nnn@marabellafinance.com. You can text Chris at the event at (760) 803-6464. For the Walgreen $8 Million CMBS permanent loan, Marabella arranged a Non-Recourse loan with standard carve-outs. The rate was locked at 4.185% and placed at 30 year amortization fixed for 10 years. Loan to value for this transaction came to approximately 60%. Start to finish the loan took approximately 54 days to complete which was very important since there were critical dates that needed to be met per the contract and 1031 exchange requirements. For the Dollar General and O’Reilly’s loans, Marabella arranged a 25 year amortized loan fixed for 10 years. The interest rate for these transactions came in at around 4.30%. Loan amount for the Dollar General came to $1,800,000 and for the O’Reilly’s came to $1,343,000. 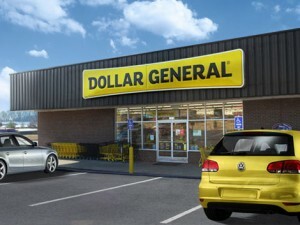 A portfolio lender was utilized for the Dollar General and O’Reilly loans. Marabellla Commercial Finance also arranged financing for a $3.9 Million loan on an additional Walgreen transaction. The loan structure for this loan was a 24/24 fully amortizing loan at 4.75%. Marabella is currently working on closing an additional Dollar General and most recently signed up an additional Walgreen, Dollar General and a Jack In The Box loan. These three new loan transactions if approved should close in the 2nd Quarter of 2013. For our current rate sheet for Walgreen, CVS and others as well as our YouTube Net Lease TV please visit the links located in the header of this page. 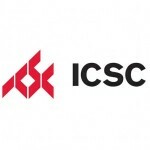 We look forward to meeting up with you all at the ICSC in Las Vegas from Saturday, May 18, 2013 to Wednesday, May 22, 2013. We will be near the Walgreen / CVS Booth passing out rate sheets. To setup a time to meet contact Chris Marabella by phone at (760) 479-0800. All rates and terms are subject to change without notice. Certain other loan terms and costs will apply to all loans.